We're having a party! The husband and I are both 40 this year, and to celebrate we have invited family and friends to a cocktail party. If you know me, you know I made the invitations to the event. 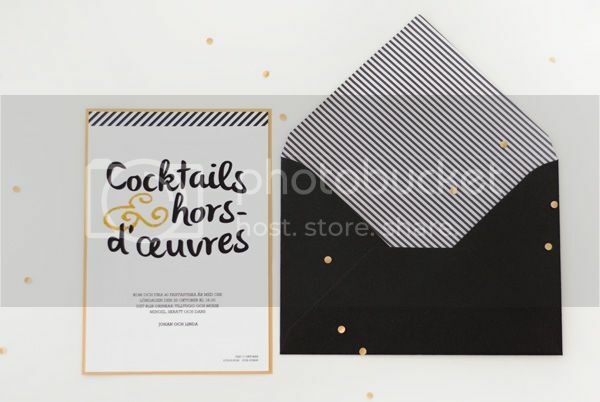 The theme is as you can see black and white, with some gold thrown in for good measure. We're shooting for the oxymoron of relaxed sophistication for this thing; cocktails and bite size nibbles, glitter, and jazz music but nothing stuffy whatsoever. I think the combination of the stripes and white space with the fun font conveys that pretty well. I hand glittered the ampersand on each invitation. It took a while, but I think it added that little bit extra. I really like how it turned out. 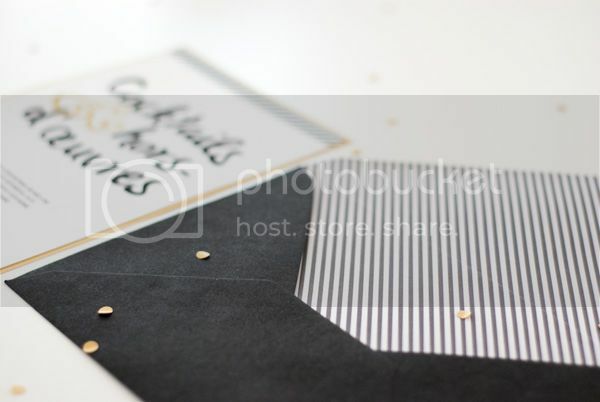 I also lined the envelopes with stripes to carry on the theme from the top of the invitation and threw in some of that gold confetti before I closed it up. Lining the envelops took me an eternity (I think four episodes of The Wire), but I think it was so worth it. Now I have about a month to make the decorations for the party! 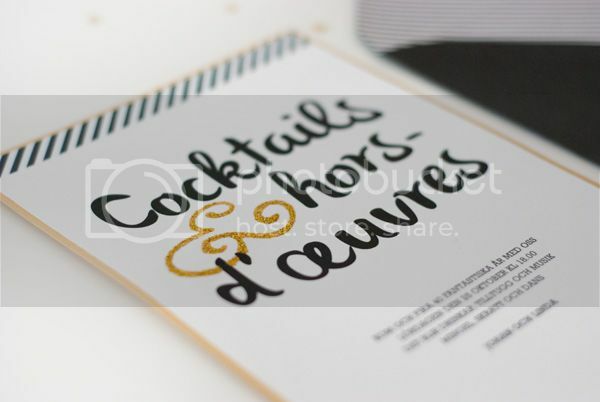 It is a wonderful invitation of cocktail party! In fact I am also planning to arrange similar kind of party with my friends and looking for best venues Chicago. Hope to find an amazing venue to invite all my close friends for party. Wish to have lovely party.